All riders must be at least 13 years old with a legal guardian present. Age 16 for Hoverboard & JetPack. If you bring a minor who does not meet our requirements, you will not be refunded. Legal Guardians must remain on the premises while your minor is FlyBoarding. We do not recommend the FlyBoard to people who are afraid of heights, or water. Prices / Terms are subject to change without notice. Check this section for updates. Proof of Certification is available upon request from all of our Flyboard® Instructors. Please make sure you are FlyBoarding with a ZR Certified Instructor for your safety! Our instructors reserve the right to refuse anyone if they are concerned for the rider’s or their own safety. Instructors always reserve the right to stop a session if the rider or others in the group are putting them in danger. No refund will be given if a session is stopped due to dangerous reckless behavior. 30 minute Flyboard® sessions are only offered at Percy Priest Lake. Most Lakes require a minimum of 2 hour sessions. Please arrive 10 minutes prior to scheduled time for a short intro lesson, and life jacket / helmet fitting. PLEASE BE ON TIME! If you are late, you will forfeit your flight time, and no refund will be given. Bookings subject to availability. When you book online, you are making a booking request, and your card will not be charged unless your booking is accepted and confirmed. Flight request or reservation is not guaranteed until you receive a verbal or email confirmation. Please provide the best information to reach you. Terms, and Prices Are Subject to Change. It is your responsibility to check this website for current information when booking a session. To Purchase a FlyBoard® or Hoverboard® , You Must Complete 3 Hour Training Course. If you want to purchase a FlyBoard outside of Tennessee, we will set you up for your training course with the training center closest to you. FlyBoard® & Hoverboard® Will Not Be Shipped Directly to Buyer Unless Proof of Training is Provided. Other ZR Products will be shipped in 7 to Business 10 Days. Event Cancellation Policy: 30 Day Cancellation policy for any event. Zero refunds will be issued within 30 days of the event unless due to severe weather (see below). In any event Nashville FlyBoard fails to perform as agreed, you will be fully refunded. Severe Weather: We fly rain or shine! We do not fly in lightning or dangerously high winds. 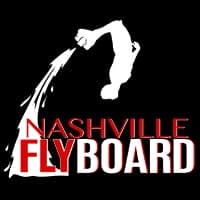 If Nashville FlyBoard is unable to operate due to severe weather, you will be given a choice to reschedule, receive a credit as a group or individually. If you are not local to the area to accept the credit offered, you can choose to receive a partial refund if time is lost. When you make a purchase for a gift card, you purchasing an eGift Card. If you would like to purchase a physical Gift Card: 1. put your email address rather than the “recipient” during checkout 2. Email us at booking@nashvilleflyboard.com with the subject “Gift Card” 3. Specify if you would like a Gift Card for an additional fee of $2.50, or a Gift Certificate for print at no additional charge. You will hear from our staff regarding your preference. You may contact us directly to purchase your Gift Card, but please note, our available hours are limited off season. Gift Cards are redeemable for any FlyBoard®, Hoverboard by ZR®, or ZR JetPack® that is available to book at the time of scheduling. Gift Cards are not valid for purchase of products in the Nashville FlyBoard Shop, and are only redeemable toward rentals. All Gift Cards expire in one year, 365 days from purchase date. Gift Cards may not be redeemed for any cash value. Nashville FlyBoard will provide the 3 hour owner’s training course that is required to purchase the FlyBoard, Hoverboard, or JetPack. Please allow 3-5 days for the order to processed, and another 3-5 days for shipping. Prices are subject to change. Used products are sold as is. All new products come with a ZR manufacturer’s 1 year warranty for mechanical defects. This does not cover wear and tear, or aggressive riding. 1. Applies to 30-60 Minute FlyBoard® Sessions only. Group sessions do not apply. 2. Excluded from the “Fly or It’s Free Guarantee”: Minors, People with injuries or medical conditions, do not meet our requirements as listed in our Terms above, riders who do not speak English as a first language and are unable to follow to the instruction being provided to you. You will not be refunded if you are intoxicated, or for discounted flights or flights purchased through a third party. 3. Instructor’s discretion may be used to determine if the person FlyBoarding qualifies for a refund, but we’ve never had anyone who couldn’t get out of the water that met the requirements above. FlyBoarding is VERY easy. 1. Applies to 30-60 Minute FlyBoard® Sessions only. Group sessions do not apply, but rest assured, everyone will fly! 2. Excluded from the “Fly or It’s Free Guarantee”: Minors, People with injuries or medical conditions, do not meet our requirements as listed in our Terms above, riders who do not speak English as a first language and are unable to follow to the instruction being provided to you. You will not be refunded if you are intoxicated, or for discounted flights and flights purchased through a third party.